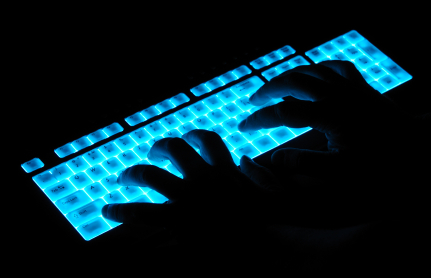 Computer Crimes are crimes involving the use of computers, computer equipment and electronic devises. Computer crime is committed when one accesses a computer, network or system without authorization, or causes damage, interruption or impairment of function, or accesses a computer, network or system to commit fraud or theft. The classification or seriousness of the offense is determined by the value of the loss, damage, services or cost of repairs. Fraud: Knowingly, and with intent to defraud, accessing a federal interest computer without authorization or exceeding authorization to further a fraud or obtain anything of value. Hacking: (also known as Cracking): Knowingly accessing a computer without authorization or exceeding authorization of a government computer or intentionally accessing a computer without authorization or exceeding authorization to acquire financial information of a bank, business or consumer. Theft of Technology: Knowingly accessing a computer without the intent to access or acquire technological information or secrets. Internet crimes are almost always handled by in the federal courts because the offences generally deal with interstate transactions. Sometimes the person or business being prosecuted is located outside the borders of the United States. Identity theft, in which a person's Social Security number, bank account numbers, and credit card numbers may be taken and used or sold by another person. If you or someone you know have been arrested or are under investigation for any type of Computer or Internet Crime, please contact Attorney Danny Sheena immediately to discuss your situation.